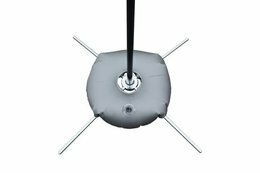 Below you will find our popular products. Click here for all Golfflags.com products! Here you are assured of the best quality! Specialists in golf flags and golf tournament advertising methods. 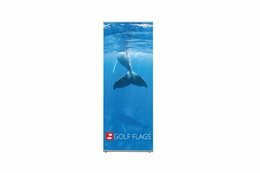 Golfflags.com specialises in flags and marketing products for use on the golf course. We supply golf flags for use on the greens and putting greens. 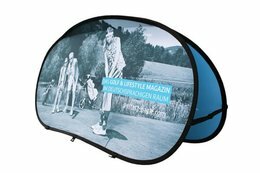 In our golf shop, you can also find custom pop-up banners, range banners, beach flags and roll-up banners. We aim to provide high-quality products at low prices. 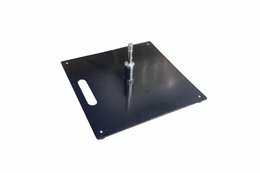 Our products can be supplied with custom designs and printing. Double-sided printing is an option. If you have customer-specific wishes, we will do our utmost to meet them. Golfflags.com will make your golf tournament a success! Our service is very customer-oriented and we aim to provide answers to all your questions quickly. You can contact us for free designs, free advice and free file checks. After receiving your file(s), one of our professionals will get started on your design. We only start production after you have approved the design. Does your order need to be delivered to an address abroad? No problem, our products are shipped worldwide. We work together with large carriers such as UPS, FedEx and DHL. Our packages can be tracked during transport until they arrive at your address or that of your customer. Do you have any questions about our service, options or qualities? If so, please contact us. 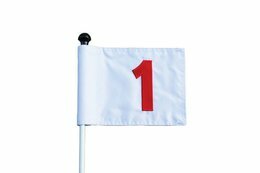 Order your golf flags and other advertising products for use on the golf course quickly and competitively priced at Golfflags.com. Golfflags.com supplies high-quality products for golf courses. 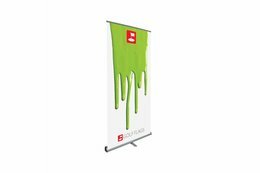 As well as customer-specific products such as embroidered golf flags, printed golf flags, and pop-up banners, our collection also includes standard flags. 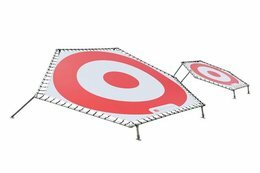 Our green flags and putting green flags are available in 8 different colours from stock. 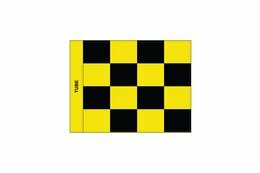 We carry plain, numbered, semaphore and checkered flags in stock as standard. 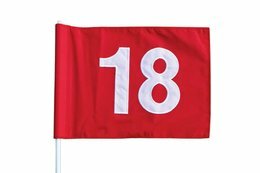 Our golf flags are made from Nylon and feature double-sided construction as standard. 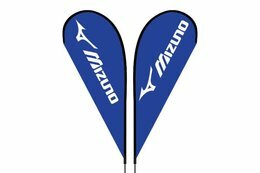 In addition, our golf flags are competitively priced and of the highest quality. As well as green flags, we can also supply you with pop-up banners, range banners, printed range targets, beach flags and roll-up banners.